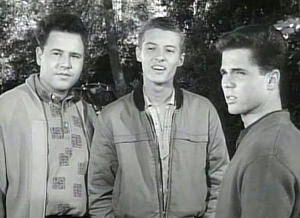 Vince and Eddie Haskell (Ken Osmond) were judges at the Jack Daniel's Barbecue Championship in Lynchburg, Tennessee in 1994. 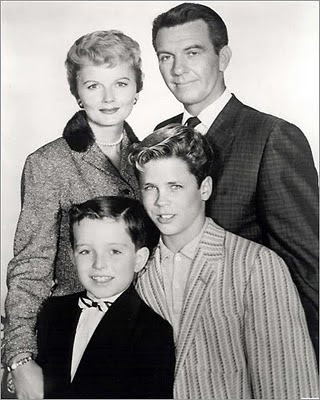 Hugh Beaumont, Barbara Billingsley, Tony Dow and Jerry Mathers as The Beaver. 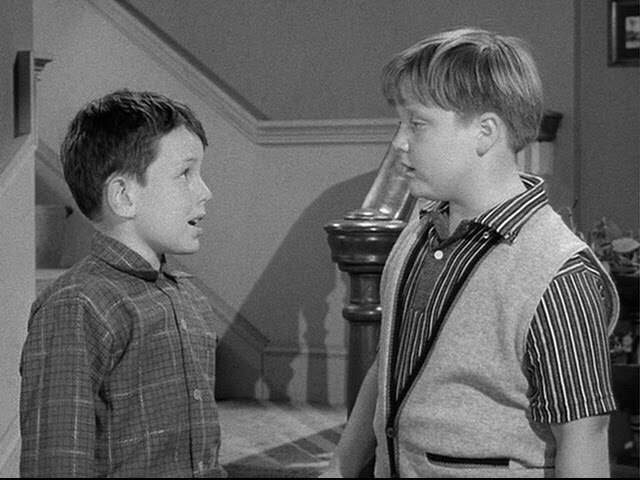 Larry trying to talk Beaver into doing something that Beaver knows he shouldn't do. 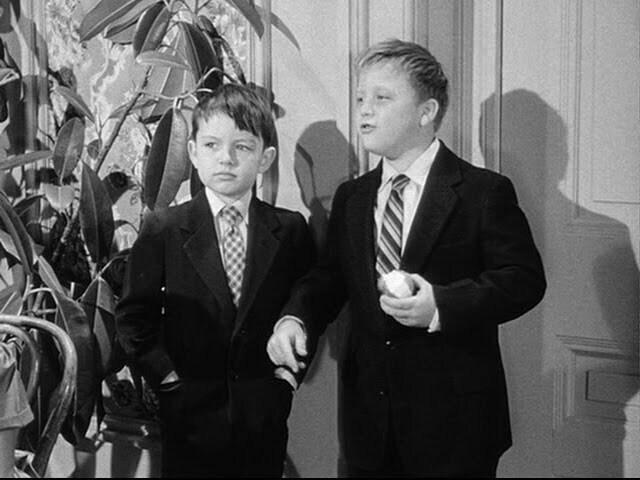 Beaver and Larry at the dance. 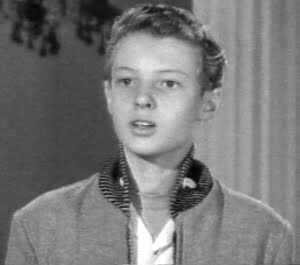 Larry is eating, of course. 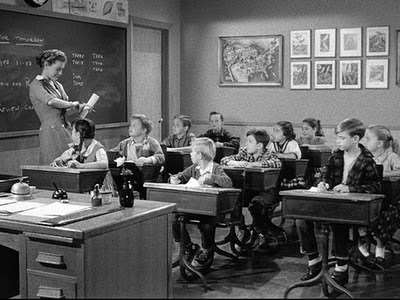 Beaver's class - that's not Miss Landers. Judy and Larry are in the first row. That's Whitey sitting in front of Beaver. 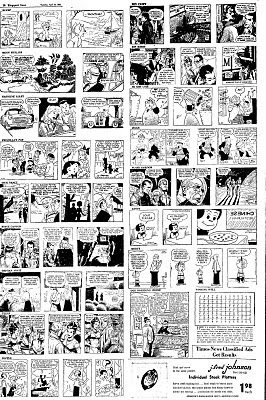 Gilbert is in the third row. 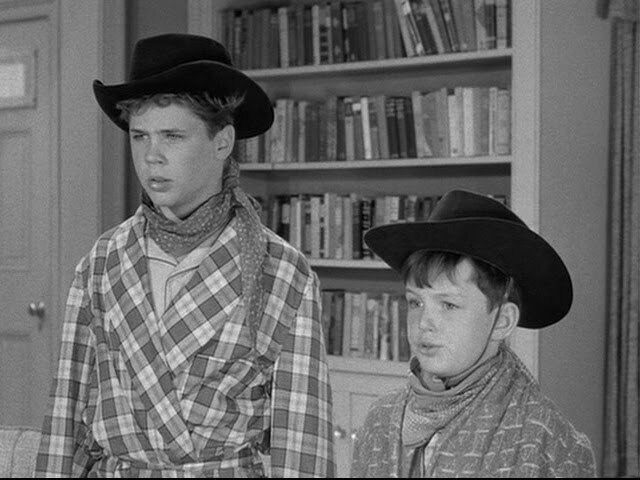 Ward and his not-BFF Fred Rutherford. 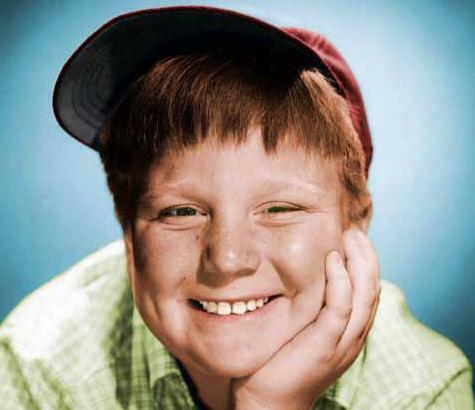 Lumpy was Fred's boy. 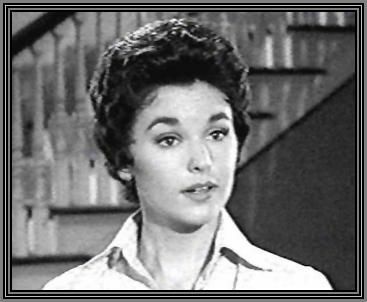 Sue Randall played pretty teacher Miss Landers. 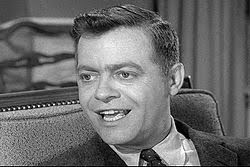 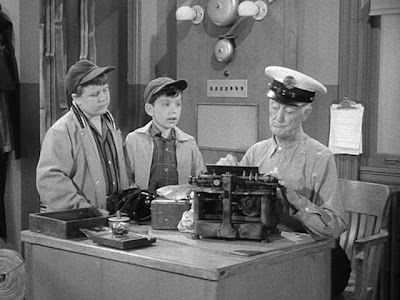 Max Showalter played Ward Cleaver in the pilot titled "Wally and the Beaver." 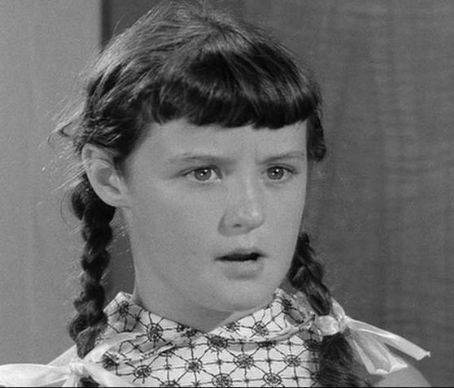 Pat Sullivan, not pictured, was Wally. Sullivan grew over the summer and was replaced by Tony Dow. 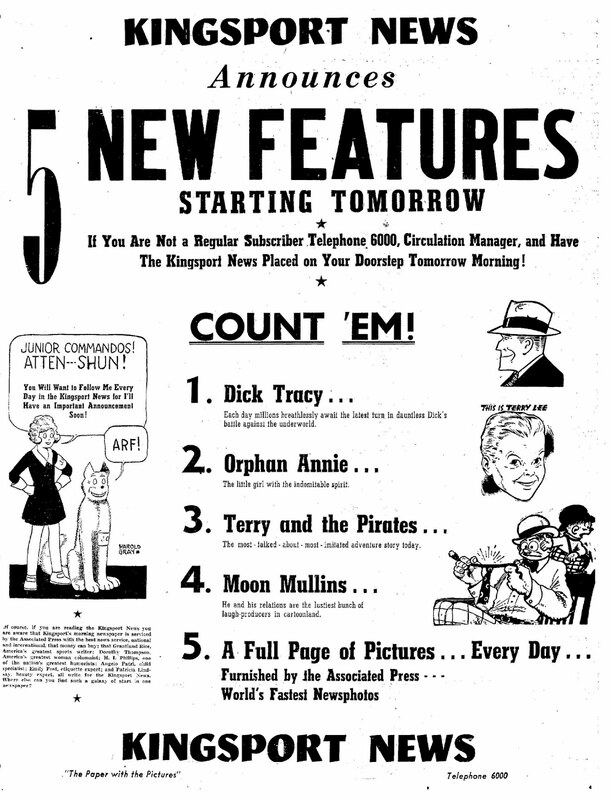 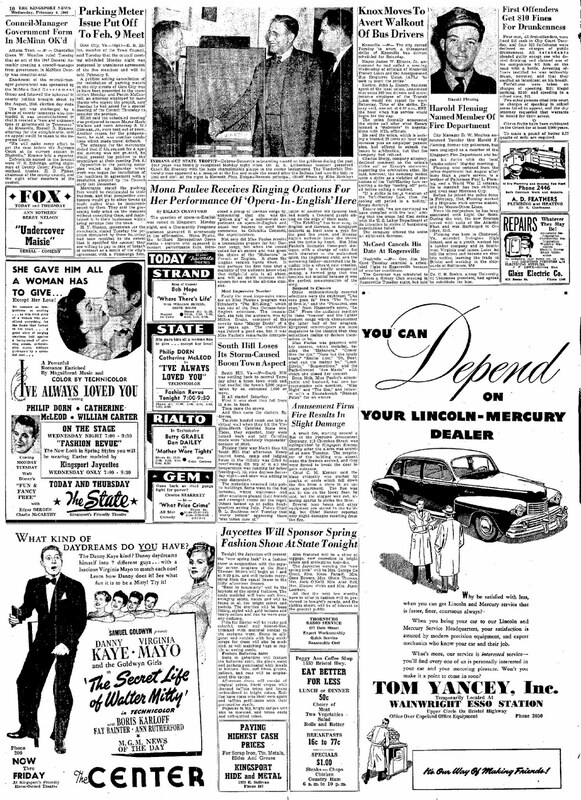 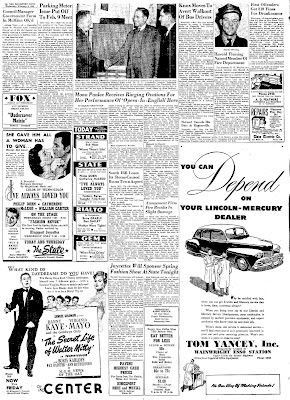 The arrival of Little Orphan Annie was announced in this full page ad on Sept. 20, 1942. This was the first strip to appear in the Kingsport News on September 21, 1942. 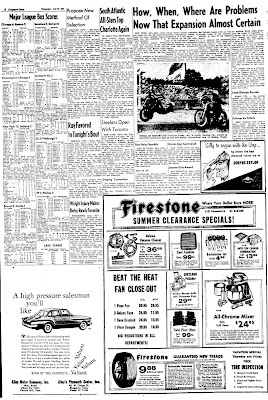 This was the comics page on Oct. 10, 1942, just a few days after Annie's first appearance in the Kingsport News. 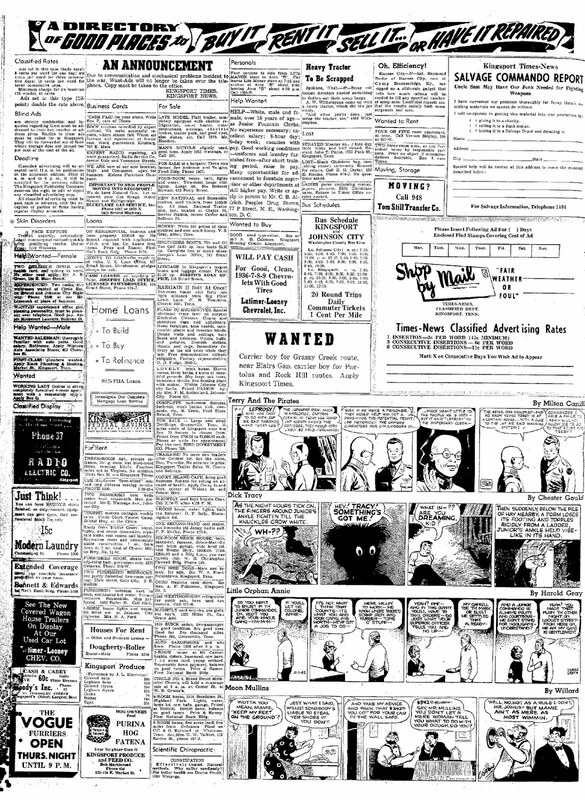 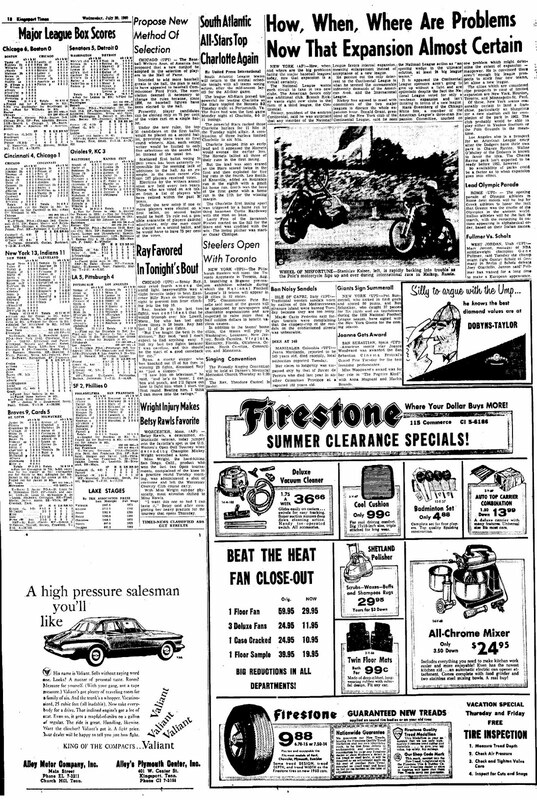 The last Orphan Annie strip in the Kingsport News on April 1, 1963. 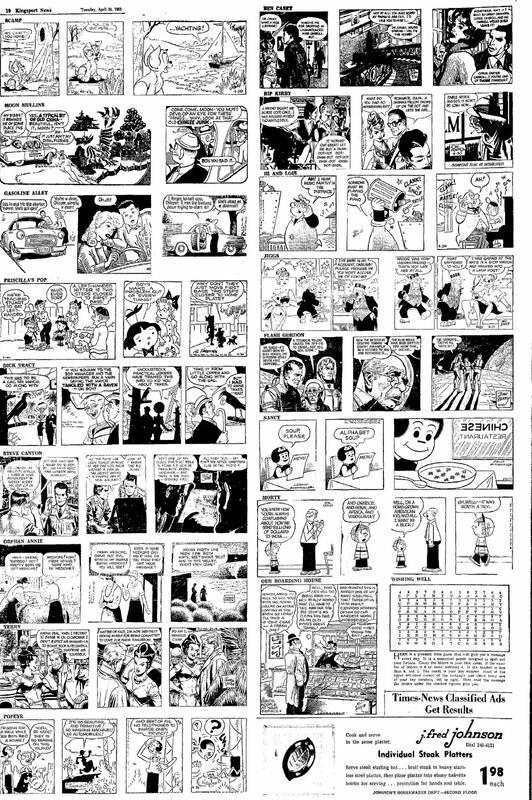 The entire page of Annie's last appearance. 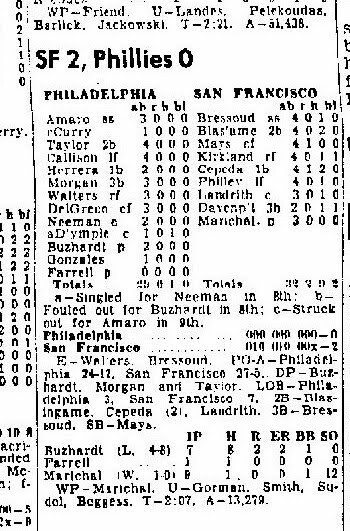 I think Juan Marichal's major league debut in 1960 was every bit as good as Stephen Strasburg's recent pitching performance. 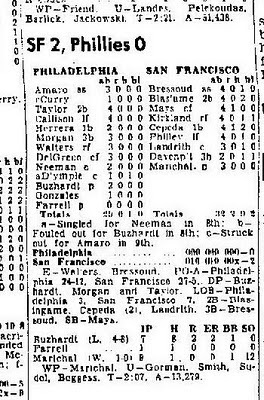 Here is the box score for Marichal. 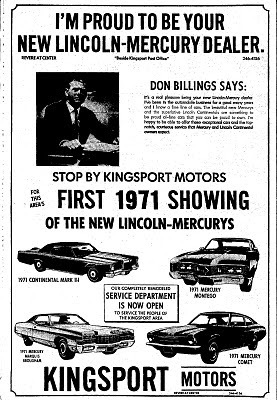 Ford will announce the discontinuation of its Mercury line, according to Bloomberg News. 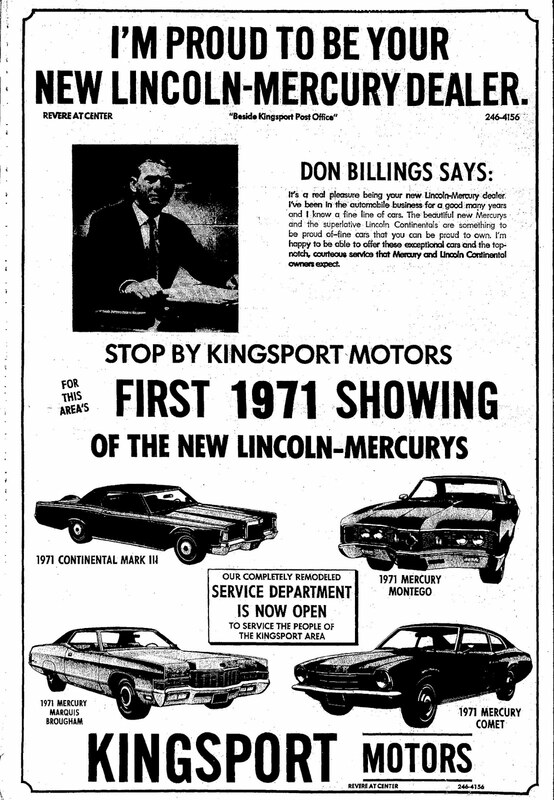 Here is Alan Jackson's 1992 hit about the Mercury, a remake of the old K.C. Douglas boogie.